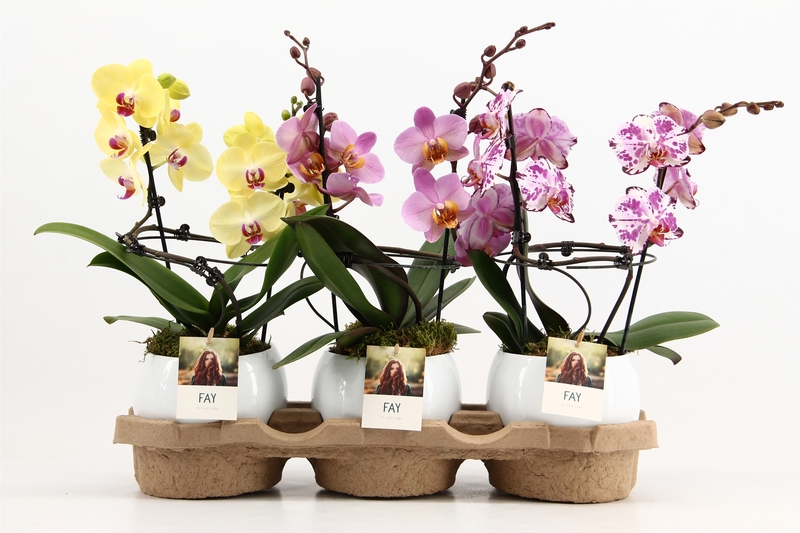 The name itself is enchanting, reminiscent of the good fairy who always graces myths and fables. 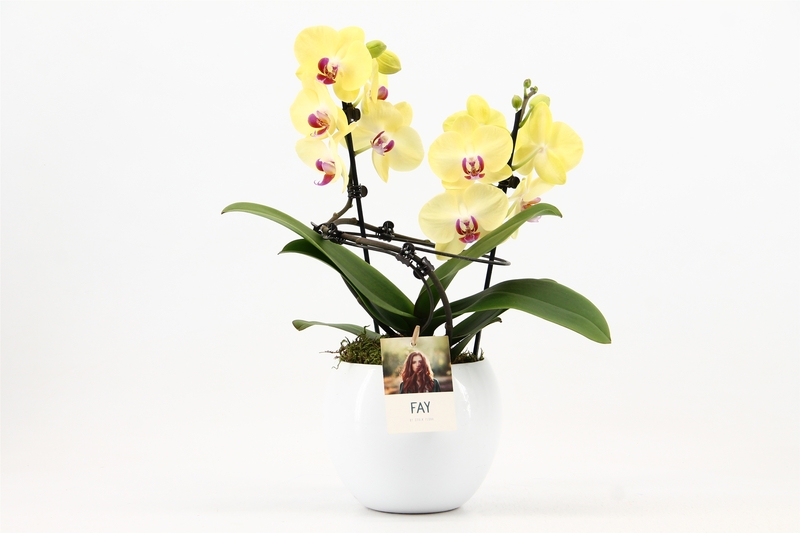 But this fairy tale is real, and that alluring spectre is Fay. 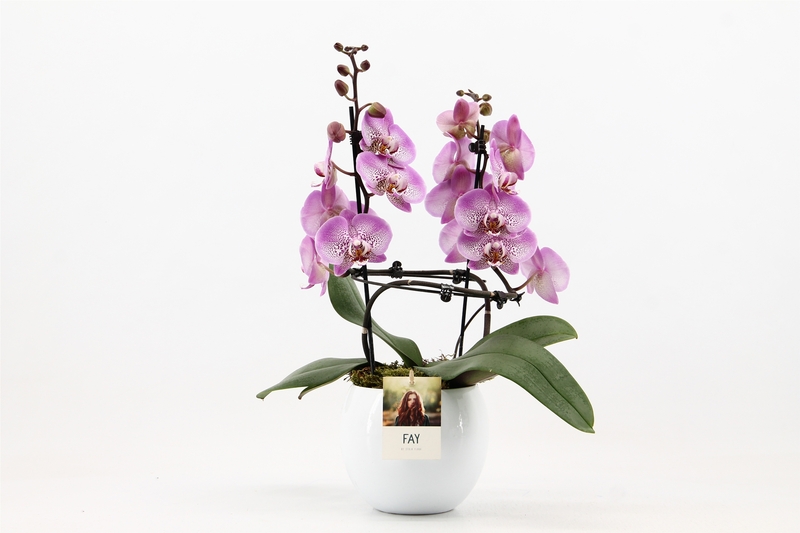 This orchid’s striking beauty is created by the unique way Stolk Flora turns it as it grows, producing a plant that is an eye-catcher in any home. 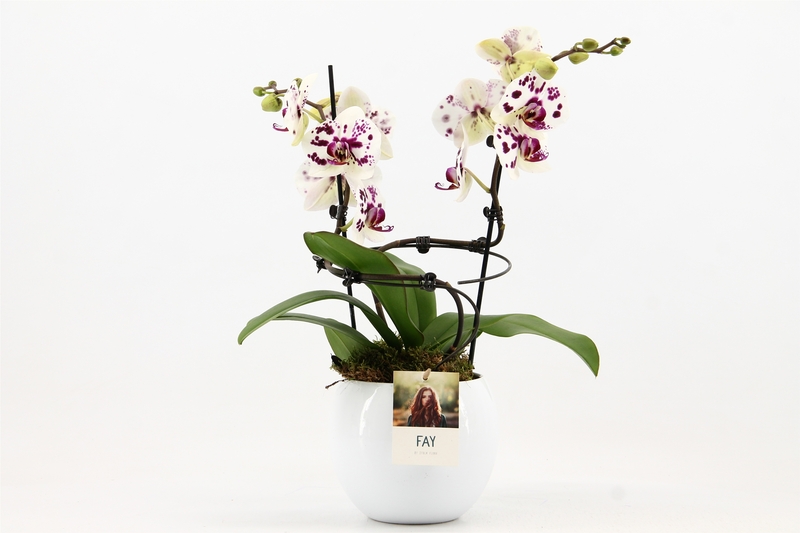 A large-flowered orchid, Fay is special in the way it measures a mere 40 centimetres in height – the perfect table ornament. 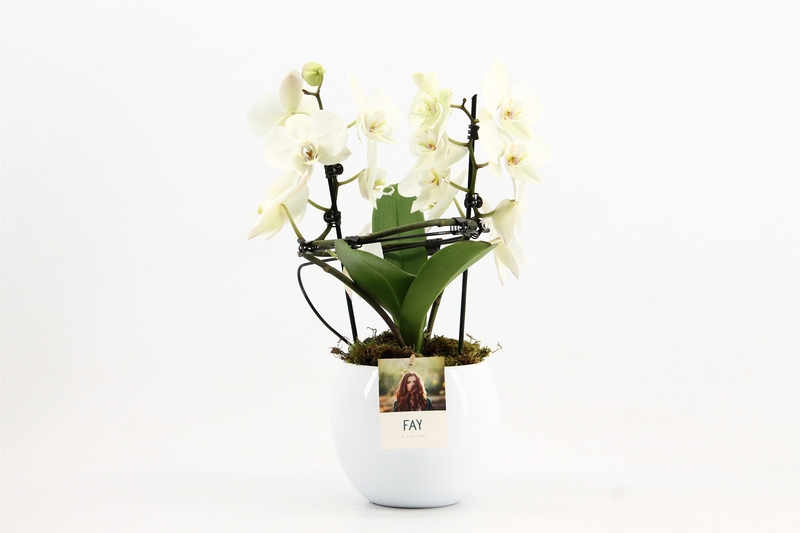 Fay can be supplied in a mix of tones or in a completely white version. 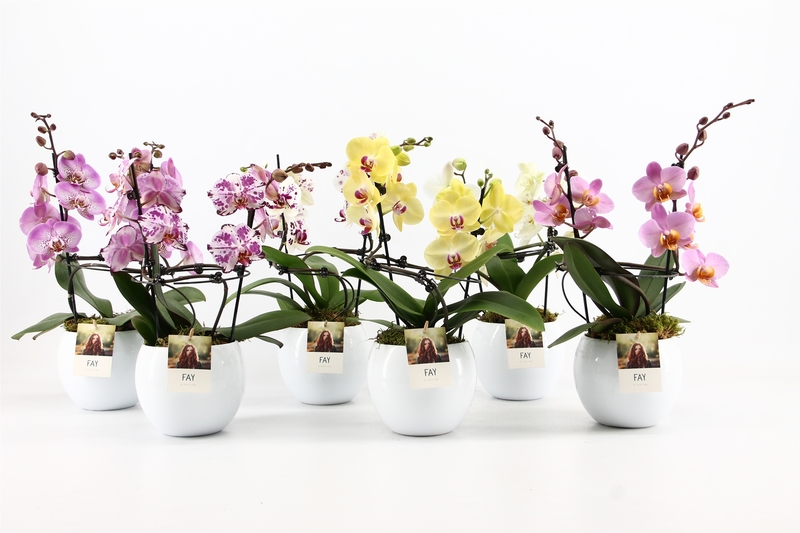 The orchid is delivered in a decorative bowl pot as standard with a moss finish. 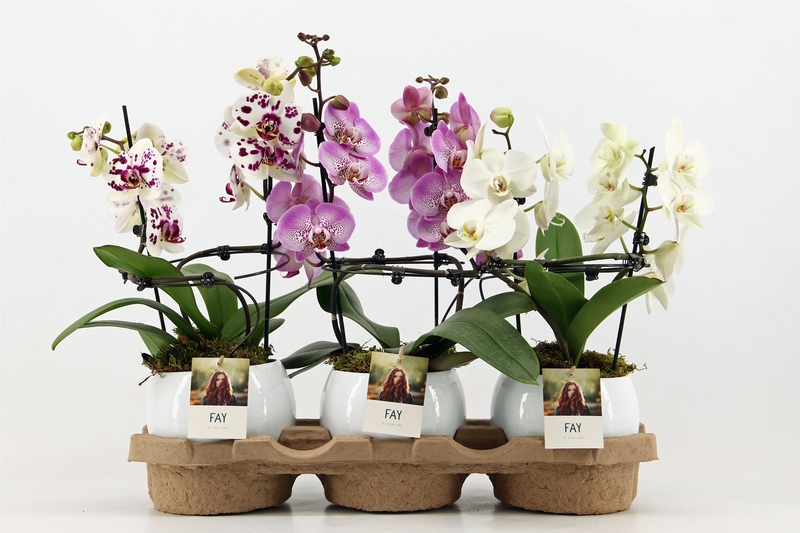 Ideal as a ready-to-give gift, Fay’s label also features care tips to help her new owner make sure she lives a full and happy life.